Below are updates to our contract negotiations. 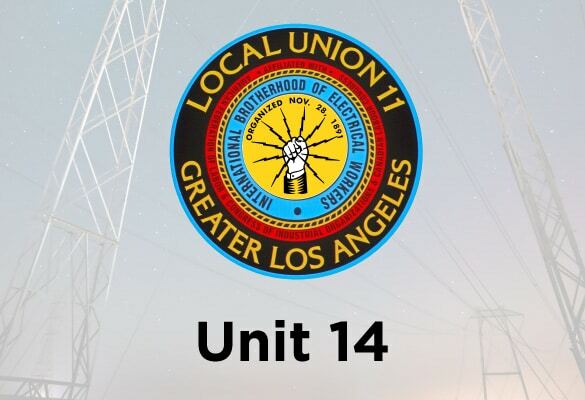 LAUSD: The Building Trades Council and IBEW Local 11 have finally reached a tentative agreement with LAUSD. After 18 months of slow moving negotiations, we will be able to present you with a contract we believe will be worthy of your vote. In addition to the reported 6% general salary movement, we were able to address prevailing wage inequities, salary differentials, and bonuses. As soon as I have a summary sheet and voting information available I will disseminate more information. I thank you for your patience during this very tumultuous period. Please take this time to make sure that your co-workers are members of their respective unions so that we show the district the solidarity that enabled our team to fight for a fair contract. LA County: Several weeks ago, the Building Trades Council reached tentative agreement with the County with regard to MOUs 411 and 412. The reason we have not as of yet voted on this contract is that the Fringe Benefit Agreement has not yet been resolved. Normally these two agreements are independent of each other, but this time around there are economic portions on the Fringe Benefit Agreement that directly affect the MOUs. The Building Trades Council is therefore postponing the ratification of MOUs 411 and 412 until an agreement on the Fringe Benefits is reached. Although this has caused a significant delay, please rest assured that the MOU agreements will be retroactive to October 1 regardless of when they are ultimately ratified. I understand that this process has caused frustration for many of our members, and I am very appreciative of your patience. LA City: Our MOU 2 and 13 negotiations have resumed! We are working diligently to advance all of the proposals that have been forwarded to me by members! Although progress is slow, we are making some headway towards an agreement worthy of your approval. I hope to have more detailed information by our next Unit 14 meeting. HACLA: Negotiations for our successor MOU have begun. If you have any proposals, please get them to me as soon as possible. For further information, please attend our Unit 14 Civil Service meeting which is held every 4th Thursday of the month! If you would like to speak to me directly, please feel free to contact me on my cell phone at (626) 712-4769. Alternatively you can email me directly at arida@ibew11.org.